Warranty: One year unlimited miles. Located in California, Kwiksen is one of the largest automotive aftermarket parts provider in North America. 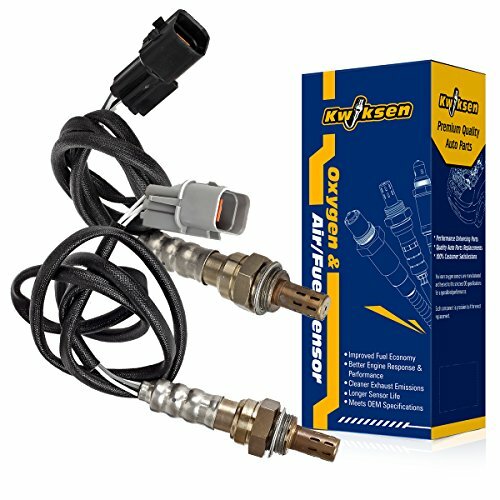 After five years of comprehensive development, Kwiksen quickly became one of the best brands in oxygen sensor aftermarket. We are dedicated to provide the best selection, the latest cutting edge technology, and the best overall shopping experience. We are constantly saturating our inventory with the best products available on the market today. Our goal is to make car repair and maintenance affordable, convenient, and transparent. providing a full selection, and the best customer service possible. Bank 1 & bank 2 sensor 2 for 1994-1996 Dodge Stealth 3.0L Non-Turbo;Calif.
Downstream left and right O2 sensor for 1994-1996 Mitsubishi 3000GT 3.0L Non-Turbo;Calif. If you have any questions about this product by Kwiksen, contact us by completing and submitting the form below. If you are looking for a specif part number, please include it with your message.